Get a FREE 17"x13" DD coil with your CTX 3030 purchase through January 15, 2019! 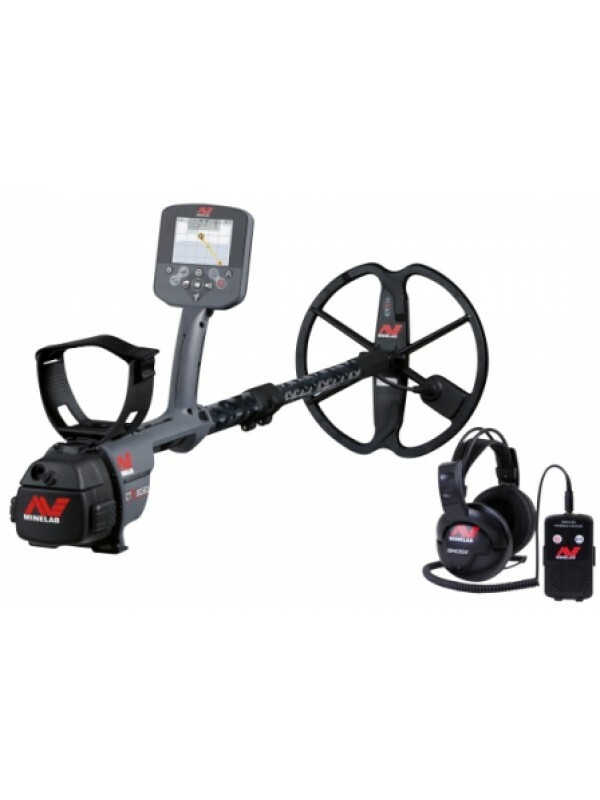 Want to save 15% on a new Minelab? You can if you are active or retired US Military with a copy of your DD214. Call us for details or to place your order! Key features of the CTX3030 - The Future of Discovery is Here! With a full color LCD and advanced Target Trace discrimination, you will discover more historical treasures with the most accurate target identification available - even in the most junk littered areas - and in all ground conditions. Wireless audio gives you the ultimate freedom to swing the machine freely, with the versatility of built-in speaker and headphone options. 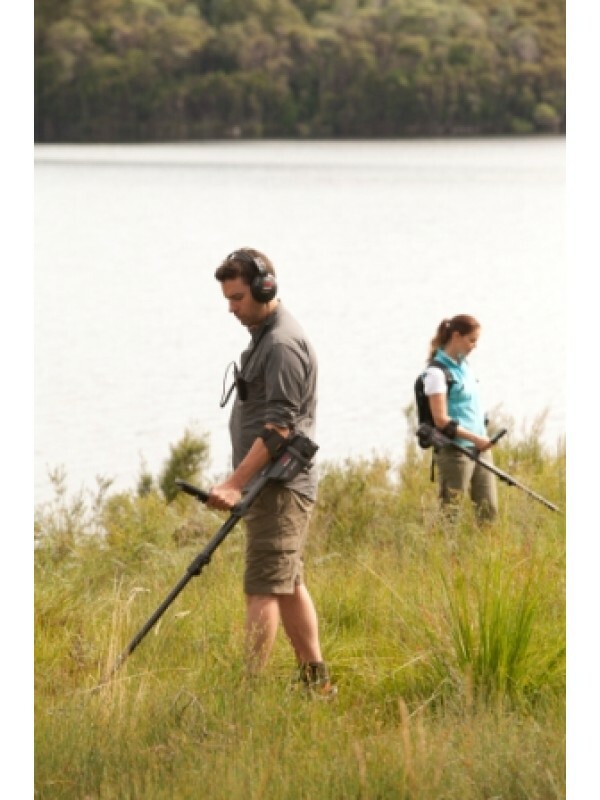 In a Minelab exclusive feature, integrated GPS will help you navigate to your favourite locations and record your finds. Detecting information can be transfered onto Google Maps using the XChange 2 PC application. This machine can be set up as a switch on and go machine for the beginner using five preset Search Modes and many automatic functions. More advanced users will appreciate the many advanced features which are easily accessible at the touch of a button. 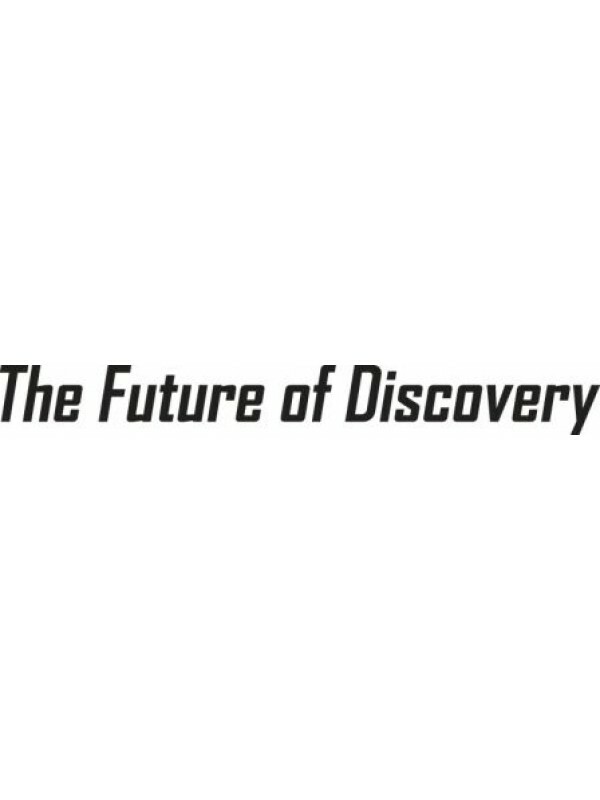 With the unrivalled performance of the CTX 3030 you'll experience The Future of Discovery! PLUS THE EXTRAS LISTED BELOW - ONLY IF PURCHASED FROM US AT FORT BEDFORD METAL DETECTORS! PLUS - we include a few extras just for you - these are FREE with purchase from our website!!! Extras you get with your CTX 3030 from Fort Bedford Metal Detectors!!! 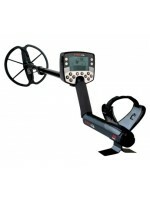 All of these items are FREE with the purchase of a CTX 3030 ONLY from us at Fort Bedford Metal Detectors! Lesche hand digging knife - a $39.00 value! Lesche Sampson T Handle shovel with a single serrated edge - a $60 value! 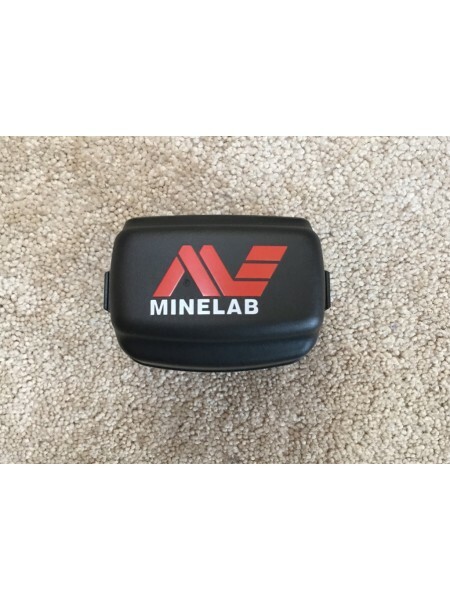 Minelab Finds Pouch - a $15 value! 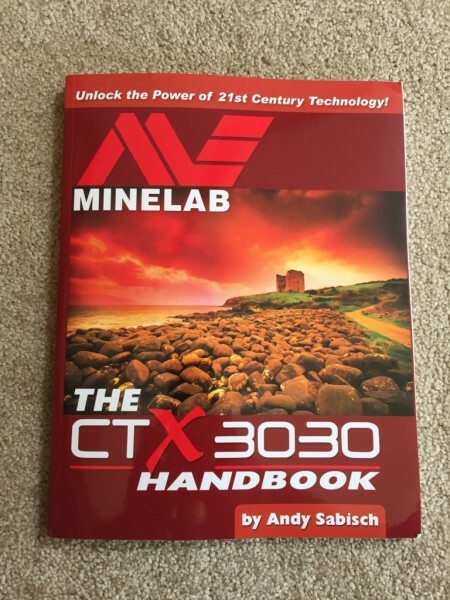 The Minelab CTX 3030 Handbook, by Andy Sabisch - a $20 value! A Fort Bedford Metal Detectors Hat! 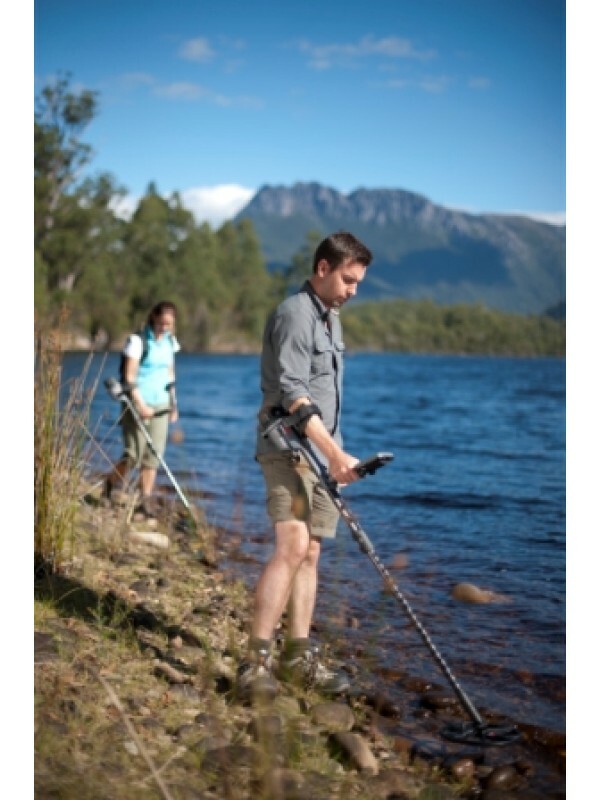 Waterproof: You have the flexibility of land and underwater detecting as the CTX 3030 is waterproof* to 10 ft (3 m). Note: the standard headphones, the removeable headphone module, and the WM10 wireless module are NOT waterproof. For operations underwater or in wet conditions, KOSS waterproof headphones are available as an option. Wireless Audio: With the WM 10 Wireless Module^ you have the choice of using the built-in speaker, supplied headphones or your own favourite headphones. The headphones attach to the WM10 Wireless module, which attaches to your belt. 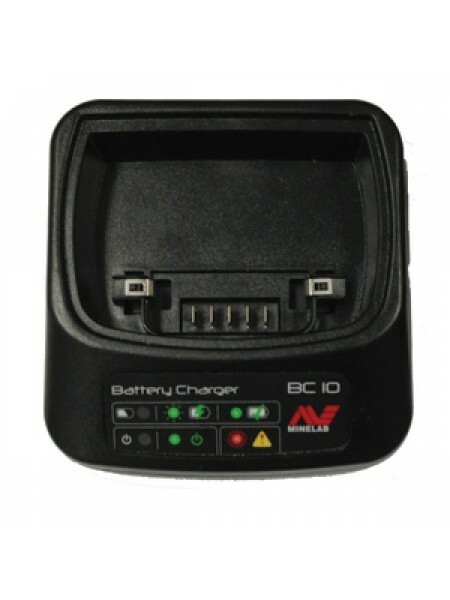 No wires to tether the detector to you for the ultimate in mauelverability. Ultimate FeCo Discrimination: Ferrous (Fe) and Conductivity (Co) target resolution, plus adjustable Tone ID Profiles allow you the user to detect (accept) only the targets you want to and ignore (reject) the rest. With Target Trace and Target Separation, the CTX 3030 has the ability to identify multiple targets simultaneously! Full Colour Display: The all new enhanced full colour LCD displays more target information than ever, greatly enhancing the CTX 3030's discrimination capabilities. 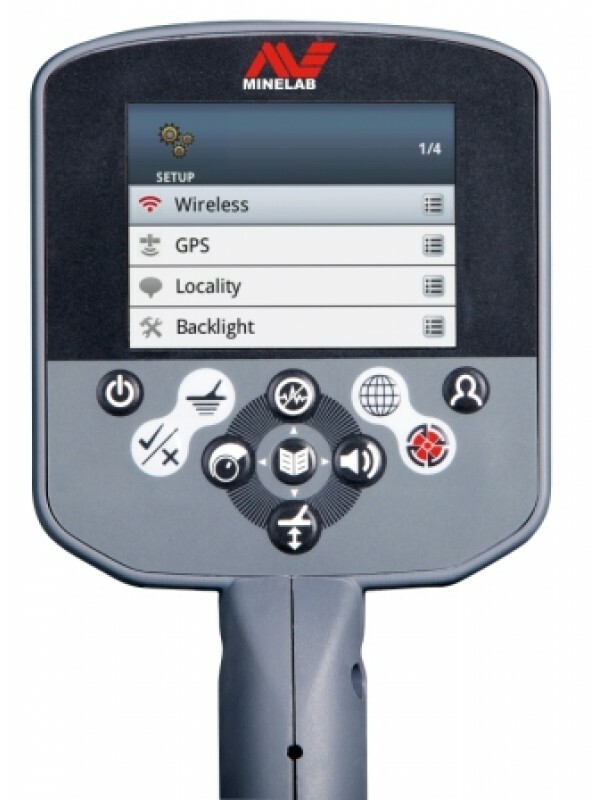 GPS Locating: This all new Minelab CTX3030 exclusive feature allows you to see where you have been, and where you are going, simply by using the Map screen and Navigation Tool. 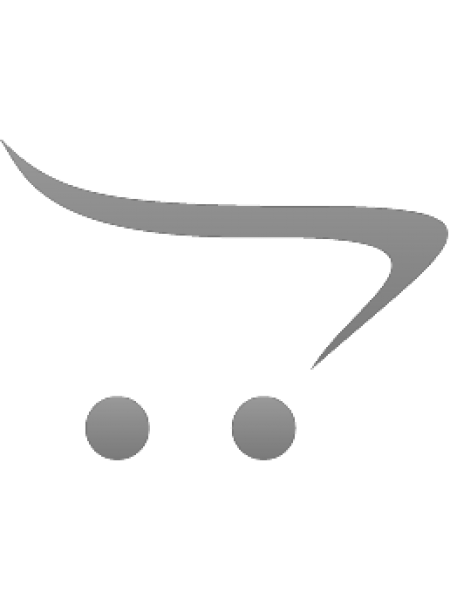 FindPoints marks the location of your discovered items. GeoHunts can be utilized to record your entire detecting adventure. PC Mapping (with Google Maps): This feature allows you to upload all of your detector settings and treasure locations to your PC using the XChange 2 application. Then you can attach photos and text to your finds, plus group them into categories, and view the locations on Google Maps. This data can be downloaded to your detector for use in re-exploring your favourite areas. Quick Menus (and smart functions): Quick Menus are designed to give you quick, easy access to â€˜on the goâ€™ adjustments. Smart functions (Sensitivity, Noise Cancel, Audio, Ground Balance) and a customisable User button are designed to allow you to make fast changes to your most used controls while detecting. Ergonomic Design: The CTX 3030 emplys a well balanced design with all the battery weight behind the armrest for comfortable detecting. It is fully adjustable to suit your needs. Multi-Languages: Your choice of 9 different languages is available: English, French, German, Italian, Polish, Portuguese, Russian, Spanish or Turkish. FBS 2 - Minelab's latest multiple frequency transmission technology allows you to find more targets in variable ground conditions. Smartfind 2 - Combined with the new LCD color display, Smartfind 2 provides digital signal processing and precision Ferrous and Conductive discrimination, for the best target identification results. 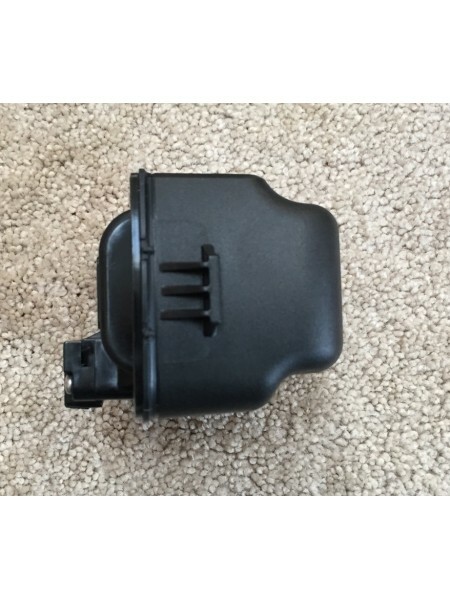 GPSi - A very sensitive sensor allows for accurate recording of geo locations. 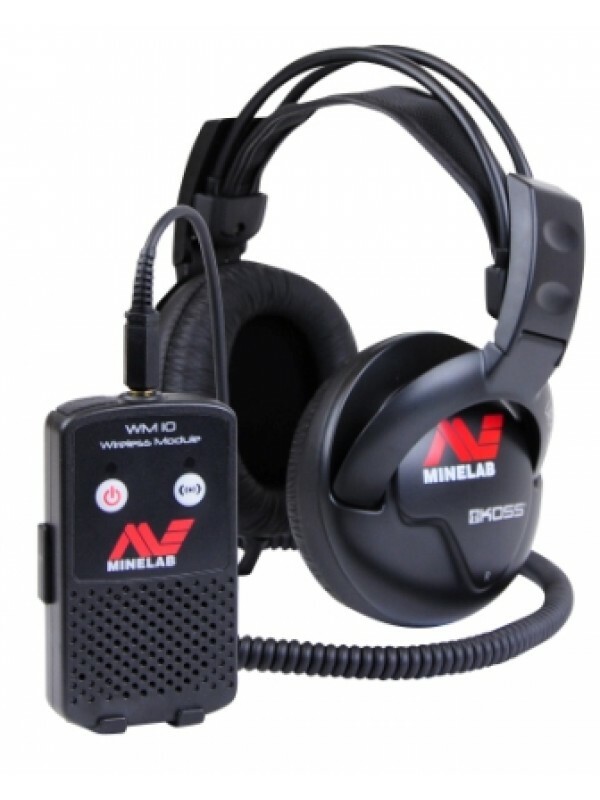 Wi-Stream - Minelab's wireless audio technology is fast to provide no delay and with no loss of sound quality. 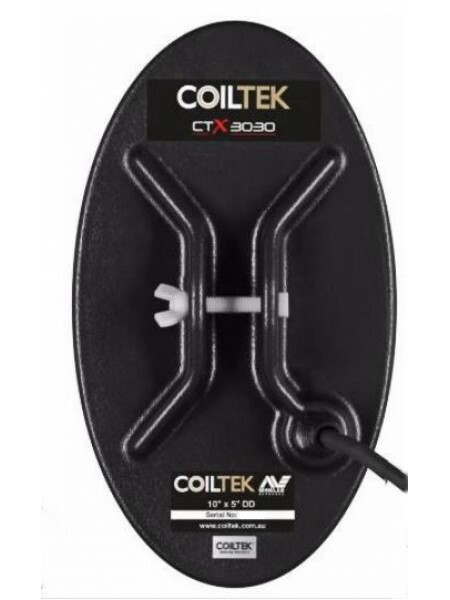 Your new CTX 3030 ships with a standard 11" DD Coil... however accessory DD coils from both Minelab and Coiltek are also available at an additional cost. 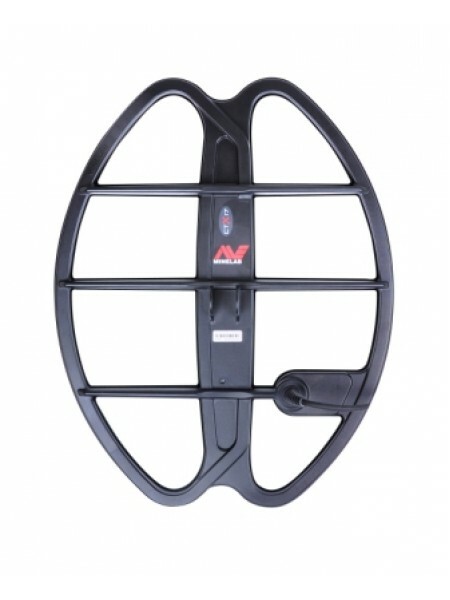 Minelab 6" DD coil - An excellent sniper coil in those trashy spots - add one to your cart for only $299.00! 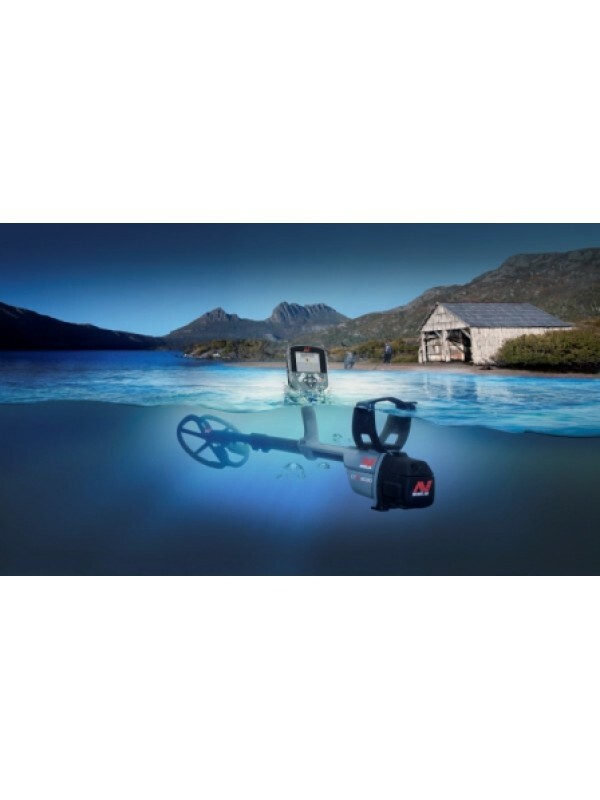 Minelab 17"x13" DD coil - For maximium depth and ground coverage in open areas and on the beach - add one to your cart for only $399.00 - FREE Through January 15, 2019 - no need to add this to the cart, it will be added for you! 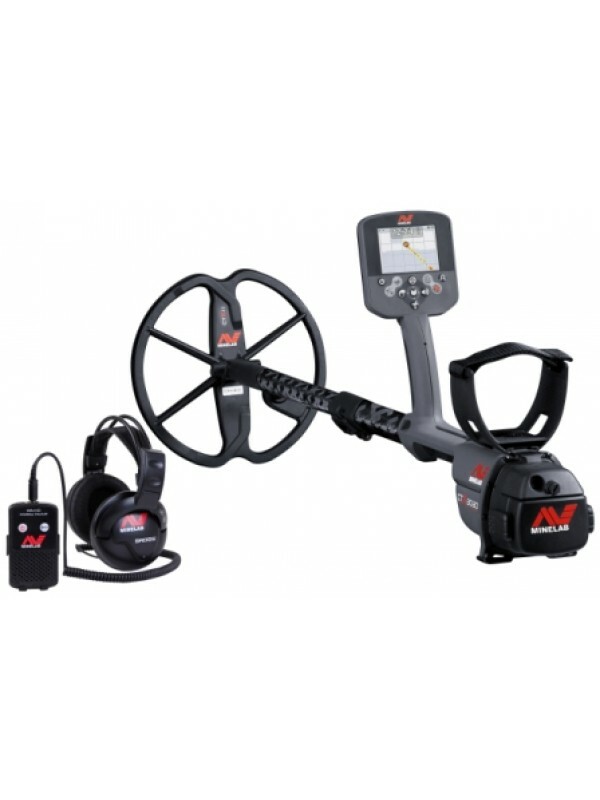 Add a hot new Minelab Pro-Find 35 to the cart for only $129.00! This is the ONLY pinpointer on the market that has iron identification capabilities! CALL or EMAIL ME with any questions and we will make sure this machine and accessories are custom tailored to meet YOUR needs! The design of the this machine is just plan brilliant ! A Land and Water Machine with GPS tracking so you have the best of both worlds. 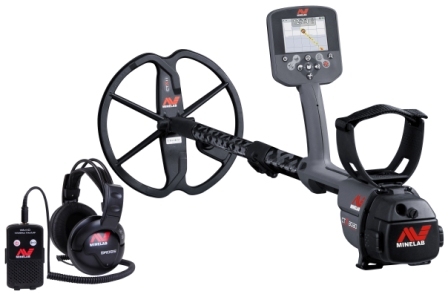 By adding Ground Balance Minelab has given us even more depth over their other FBS machines. The Target Trace feature allows visual separation of targets in the ground, right on the screen! The CTX has excellentl balance so you can hunt all day. If you want the Absolute Best all around machine for Treasure, Relic or Coin Hunting this is it! No longer do you need both a land and water machine, as the CTX 3030 gives you the best of both worlds. Imagine this, It's Summer time and you are detecting a staging area where early travelers, pioneers or even Civil War Soldiers were preparing to ford a river. You've detected the area up to the back of the river. Where to go next? With the CTX 3030 you just keep going right out into the ford of the river. This opens up new areas that have never been detected before!!! 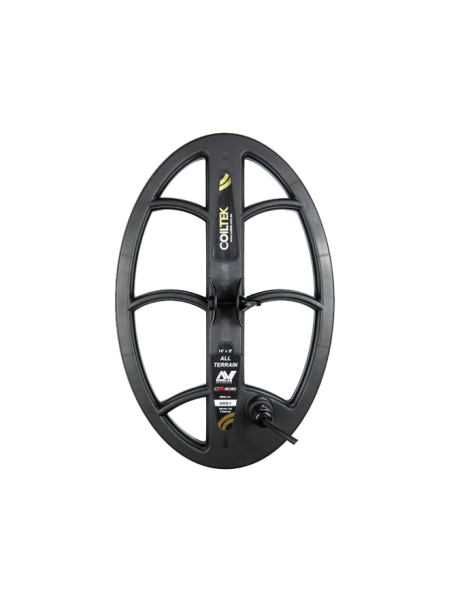 Minelab 17"x13" DD Coil for the CTX 30303011-0116This 17 x 13 inch coil is designed to provide maximium depth and the ability to scan open a..
Minelab CTX 3030 battery compartment seals This includes: 3 O-Rings/Waterproof seals to fit the battery c..
Coiltek 10 x 5" Treasureseeker Coil For the Minelab CTX 3030 This 10"x5" coil for the..